Uttarakhand Best Holiday Tour Packages from approved tour operator in Uttarakhand. Enjoy Uttarakhand Holiday trip with Chardham Tourism. 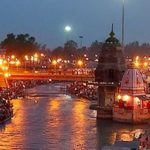 Uttarakhand Mountain View Package, Uttarakhand Holiday Packages, Uttarakhand Wildlife Tour Packages, Uttarakhand Special Tour Packages, Uttarakhand Safari tour Packages, Book Uttarakhand Travel Packages. After Breakfast Check out from Hotel, Travel by surface from Nainital to Kausani via Almora.On arrival check in at hotel. Rest of the day free for independent activities. Overnight at hotel. Kausani Local Sightseeing Today at Leisure, enjoys the natural beauty of Himalaya peak, overnight at hotel. After Breakfast Check out from Hotel, Travel by surface from Kausani to Jim Corbett National Park via Ranikhet .On arrival check in at hotel. Rest of the day free for independent activities. Overnight at hotel. Today enjoy at Corbett Jeep Safari and overnight at hotel. Breakfast at hotel. Today at leisure check out and drive toward Delhi, on arrival transfer to Airport / Railway station to catch your pre booked Flight / Train. Tour concludes but sweet memories remains. 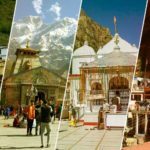 Uttarakhand is a beautiful, multi-cultural state that has an abundance of unique destinations and experiences. In this magnificent himalayan state you can go on a safari, indulge in adventure activities, enjoy a city break, relax by Yoga Meditation or sample delicious food. Honeymooners have innumerable possibilities for romance and bring back unforgettable memories. With so many things to do, here’s how newly weds can explore the wonderful rainbow himalayan state. Nainital is one of the best & most charismatic hill stations that India harbors. 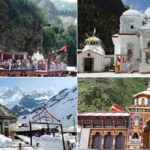 Yamunotri Dham : Yamunotri Dham, source of river Yamuna is situated in the direction opposite to Gangotri and the road bifurcates and goes to Yamunotri from Dharasu, a place between Rishikesh and Uttarkashi. Yamunotri can also be visited via Mussoorie and Barkot. Situated at an elevation of 3235 mts. above sea – level, the shrine of Yamunotri is one of the ‘Four Dhams’ of Uttarakhand. The source of Yamuna lies about one km. ahead at an altitude of about 4421 mts. The approach is extremely difficult and pilgrims therefore offer pooja at temple itself. Gangotri Dham : Gangotri Dham situated at an elevation of Himalayas 3200 mts. 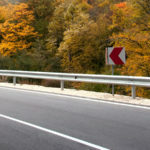 above sea-level amidst captivating surroundings is 100 kms. from Uttarkashi. The temple, constructed by the Gorkha General Amar Singh Thapa in the 18th century, is situated on the right bank of Bhagirathi. It is visited by thousands of pilgrim every year. A number of Ashrams are located on the other side of Himalayas some of which provide accommodation facilities to the Gangotri visitors. Kedarnath Dham : The holiest of Shiva’s shrines is likened to gold among base metals so that every pilgrim finds peace here, and it is said that devotees who die here become one with Shiva himself. The temple of Kedarnath, located at a height of 3,581 mts, stand at the head of the Mandakini river, with Kedarnath peak keeping vigil above it. The temple is dedicated to the Sadasiva or invisible form of Shiva, and is represented by a natural rock formation. Badrinath Dham : Also known as Vishal Badri, this temple located at the height of 3,133 mts. is the largest Himalayas and most popular of Vishnu pilgrimages among the five Badries. The original temple here is believed to be built by King Pururava and the icon of the lord carved by Vishwakarma, the creator of the gods. The idol was recovered by Adi Shankaracharya from the waters of the nearby Naradkund and consecrated once more in the temple, restored in the 19th century by the royal houses of Scindia & Holker. Mussoorie, the proverbial Queen of Hill stations, as professed by the British gentry who evaded hot, desultory summers of Delhi and Kolkata by spending time here. Being at an average altitude of 2,000 metres (6,600 ft), Mussoorie, with its green hills and varied flora and fauna, is a fascinating hill resort. Commanding snow ranges to the north-east, and glittering views of the Doon Valley and Shiwalik ranges in the south, the town was once said to present a ‘fairyland’ atmosphere to tourists. The town of Rishikesh lies in the foothills of the Himalayas of the Garhwal region. 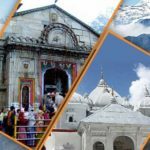 It is the gateway to the upper Garhwal region and the starting point for the Char Dham Yatra (Gangotri, Yamunotri, Badrinath and Kedarnath) and an ideal destination not only for pilgrims but also for the people who are interested in adventure activities, River rafting, camping, yoga and medtation and other aspects of Hinduism. Dhanaulti it is situated at an altitude of 2286m, and is known for its quiet environs amidst the alpine forests of Deodar, Rhododendron and Oak. Dhanaulti is a dreamy, misty mountain retreat In the Garhwal Hills. This is the perfect honeymoon hideaway of Uttarakhand, India. The territory is wholly mountainous with altitude ranging from 2000 Lo 21000 feet. Bhuri Singh Museum, Pangi Vally and Lakshmi Narayan Temple is main attraction at the beautiful place. Situated at an altitude of 2200 feet above sea level, Dehradun is the capital of Uttarakhand (Uttaranchal). It is one of the most developed city of India having moderate climate. The places to see at Dehradun are Tapkeshwar Temple, Lakshman Sidh, Malsi Deer Park, Sahastradhara, Robbers Cave, Forest Research Institute etc. Nainital is a glittering jewel in the Himalyan necklace, blessed with scenic natural spledour & varied natural resources. Dotted with lakes (Naini Lake, Khurpatal, Bhimtal, Naukuchiatal, Sattal), Nainital has earned the epithet of ‘Lake District’ of India’. The most prominent of the lakes is Naini lake ringed by hills. Nainitalis a lovely hill station surrounded by mountains on three sides. Nainital unending expense of scenic beauty is nothing short of a romance with awe-inspiring and pristine Mother nature. Known for its salubrious climate and scenic beauty. Naina Devi Temple, Naini Lake and Snow View Trek are main attractions. It attracts migratory birds, which makes it a bird watchers paradise. Lakes, fishing, trek, Paraglading and mountain biking are major attractions. Situated at an altitude of 1,219 m, Naukuchiatal is picturesque & mystique lake with 9 corners or or the ‘nine-cornered lake’. Surrounded by dense forested hills on all sides it provides solace from the maddening rush of the plains. Naukuchiatal is nourished by an underwater spring, which keeps its water levels high. It is the deepest lake in the Lake District of India (Nainital) and lost in acres of oak forest in the lesser Himalayas. Literally meaning seven lakes all the group of small lakes nested together, about 23 kms from Nainital at an altitude of (1370 MT) still untouched by modernisation – one can see the natures beauty at its best. Sattal is one of the few unspoiled and unpolluted freshwater biomes in India. These lakes are a paradise for migratory birds. This beautiful place is 2286 meters (7500 feet) in altitude and 51 Kms. from Nainital. Surrounded by fruit orchards and thick coniferous forest it was developed by the Britishers as research and education institute (IVRI) in 1893. It is the celebrated scenic spot overlooking long ranges of Himalaya. Mukteshwar is surrounded by beautiful and dense reserve forest of Deodar, Banj, Kharsu, Tilonj, Kafal, Pine, Utis and Mehal. Beside these trees there are wild fruit berries (Kilmora, Ghingary and Hisalu). Its evergreen vistas of exquisite beauty and the sapphire of encircling hill blend with deep blues cloudless skies. These have a charm of their own against the background of great Himalayan peaks glittering in the distance. Ranikhet beauty lies in its simplicity – beautiful pine trees create a nostalgic feeling. The orchards, the temples, the joy grounds will back on you again and again to its fold. Ranikhet in the Kumaon hills is a haven of tranquilly with its meadows, pine and cedar forests and enchanting views of the snow capped Himalayas. Ranikhet is famous for Wildlife sanctuaries and golf course. Almora It is located on a ridge at the southern edge of the Kumaon Hills of the Himalaya range. In the shape of a horse saddle shaped hillock, it is surrounded by thick forests of pine and fir trees. Flowing alongside the city are rivers of Koshi, (Kaushiki), and Suyal (Salmale). The snow capped Himalayas can be seen in the background. The eastern portion of the ridge is known as Talifat and the western one is known as Selifat. Jim Corbett National Parkis one of the most visited National Parks in Asia. Jim Corbett National Park is the perfect habitat of tiger, elephant, hog deer, birds and other wildlife species rapidly vanishing from the earth. Aptly called the land of roar, trumpet and songs. (120 km) away set on the banks of the mighty Ram Ganga river is Dhikala – the main tourist attraction in the world famous and India’s first national Park – Jim Corbett National Park. One can sit in solitude for hours admiring the nature and the river or can go for jeep Safari or Elephant Safari for a life thrilling encounter with the Lord of the Jungle – Tiger.The 525 sq.km. of forests and more than 500 species of animals, birds fishes and reptibs provides a range of adventure to all – from a child to a man with his adrenaline pumping. Binsar is situated at an altitude of 2,480 mis a beautiful, quiet and wild Himalayan destination with rich natural surroundings among dense forest. Binsar is perched on top of the Jhandi Dhar hills. This place is situated 33 km north of the Almora town in the Uttarakhand state of India. From Binsar one can see the 300 km panoramic view of the Himalayan peaks like Kedarnath Peak, Shivling, Trisul and majestic Nanda Devi from a place called ‘Zero Point’. Jageshwar is located at an altitude of 1870 mts. Jageshwar is the 8th Jyotirling among the twelve and has great religious value. Jageshwar is a Hindu pilgrimage town in Almora District, Uttarakhand, dedicated to Lord Shiva, located 36 km northeast of Almora. The temple city comprises a cluster of 124 large and small stone temples, dating 9th to 13th century AD, with many preserved by the Archaeological Survey of India (ASI), the Jataganga river valley near a Deodar forest (Cedrus deodara) starting from Artola village on Almora–Pithoragarh highway, where two streams Nandini and Surabhi flow down the hills in the narrow valley and meet near the sacred spot. Patal Bhuvaneshwar, one of the most fascinating places of the Kumaon region, is a limestone cave temple 14 km from Gangolihat in the Pithoragarh district of Uttarakhand (Uttaranchal) state in India. It is located in the village Bhubneshwar. Legend and folklore have it that this underground cave enshrines Lord Shiva and thirty three crore Gods. The cave is 160 m long and 90 feet deep from the point of entrance. Limestone rock formations have created various spectacular stalactite and stalagmite figures of various hues and forms. This cave has a narrow tunnel-like opening which leads to a number of caves. The cave is fully electrically illuminated. There is a folklore that the Pandava brothers passed their time here during banishment. It is built due to the flow of water. It cut the rocks in such a fascinating way that it looks like that any artist had made those entire statues within the cave & on its wall. It has some cave opening and it is believed that these opening will be close as the centuries pass on. The scientific fact is it still being developed due to crystallization of the minerals which are dissolved in the water. As per believe, some doors which are now closed were opened thousand of years back. It is yet not been fully explored. It is also believed that this cave is internally connected to the four abodes /seats (Char Dham Yatra).